KUALA LUMPUR: The Malaysian equity market is at present in a consolidation phase which is expected to continue at least until the end of the second quarter (Q219), says UOB Asset Management (M) Bhd. Executive director and chief executive officer Lim Suet Ling said the valuation of Malaysian equities was considered as not “extremely cheap” at 15 to 16 times of historical mean valuation, pointing towards a consolidation path. 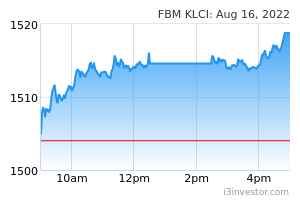 “The FBM KLCI is expected to stay between 1,650 and 1,700 points in the first half this year and to move to around the 1,750 level by year-end,” she told reporters at the United-i Global Balanced Fund product launch here today. Lim said the valuation was fair after taking into consideration all the noise in the market. She said a longer consolidation would be better as there was still liquidity in the system and people had money to wait for the right opportunity to invest when earnings pick up. “However, there are certain sectors in the local market that have more bargaining power in terms of revenue. “We continue to like the consumer, autos and manufacturing sector, while neutral on the banks and underweight on construction, property and plantations,” she added. Lim said Malaysia was still in a transition phase after last year's general election, with the government in the process of cleaning up the country's fiscal position. She said the government's move to cancel and renegotiate the prices of some mega projects was good for the economy in the medium term. “The market does not expect any rate hike by Bank Negara Malaysia this year, which is good for stability. However, the rise in oil prices will impact the people and the market needs to be sensitive on the inflation rate,” she said.